Luka Modric expects Cristiano Ronaldo to stay at Real Madrid this summer despite him being heavily linked to Juventus. The 33-year-old Portugal international has spent the last nine years at the Santiago Bernabeu where he has become Real Madrid's all-time leading goalscorer and has won 15 trophies, including two La Liga titles, two Copas del Rey and four UEFA Champions League titles. However, there are reports claiming that Ronaldo will depart this sumemr to seek a new challenge with Italian champions Juventus with talk of a £88million switch. I don't think he's going to go and I would like him to stay because he's the best player in the world. He means a lot and hopefully he will stay. And, while Modric is focused on trying to help Croatia win the World Cup 2018 in Russia, he took time out to discuss the future of Ronaldo at Madrid. Speaking after Saturday evening's penalty shoot-out win against the hosts to set up a semi-final clash against England in Moscow on Wednesday, Modric said: "Let's see what happens. "I don't think he's going to go and I would like him to stay because he's the best player in the world. He means a lot and hopefully he will stay." He added: "I think he's going to stay, that's my opinion. "It would be very good if he stayed because I can't imagine him in any other European team." 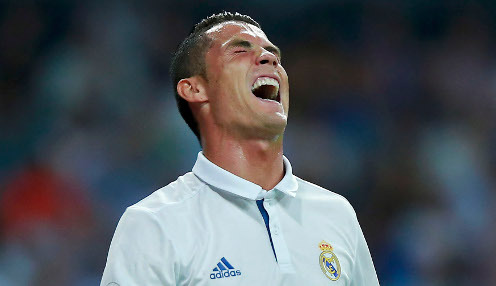 Real Madrid are 1000/1 to win La Liga next season and are priced at 12121/1 to win a fourth successive Champions League title.